James Bond vector silhouette artwork inspired by the iconic title sequences of the super spy movies. Minimal white graphic work makes the trademark 007 tuxedo apparent. 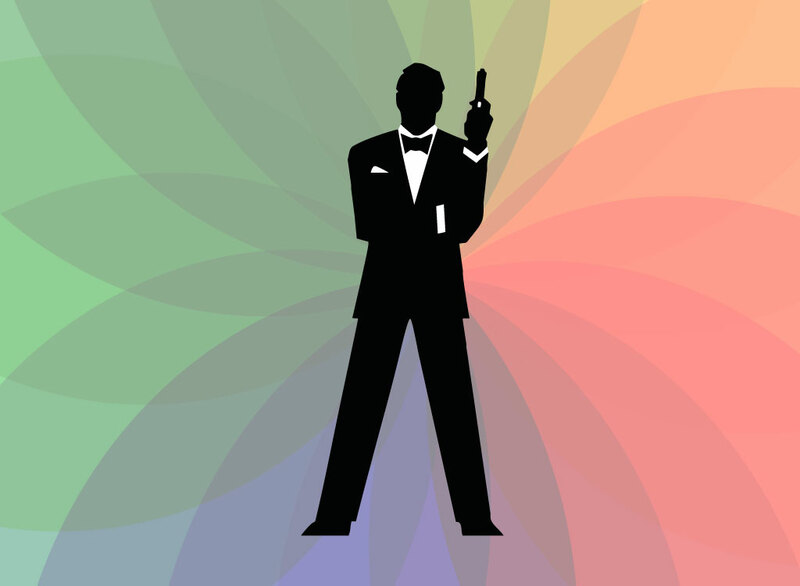 Download this free stock clip art for James Bond fan art or create your own clever spy themed marketing materials. Tags: Film, Hero, Hollywood, Man, Movies, Secret Agent, Spy, Tuxedo.